Now I know that making a claim like that is basically inviting coffee snobs to rip into you and tear you apart for your underdeveloped tastebuds. This also goes for wine. I will say upfront that I am no coffee (or wine) snob and that I believe people should drink what they enjoy. Having said that, over the fast few years, many cups of coffee (and glasses of wine) later, I have developed my own taste. I now drink dry red wine (which I never used to) and put minimal amounts of sugar in my coffee. Anyway, if you would like to sample what I think is the best coffee in Johannesburg – or anywhere other than Ethiopia itself I guess – take yourself downtown to Elsa’s restaurant in the Johannesburg Mall on Jeppe Street. It is on the third floor (I think) and like many down-town places, you don’t go there for the decor. 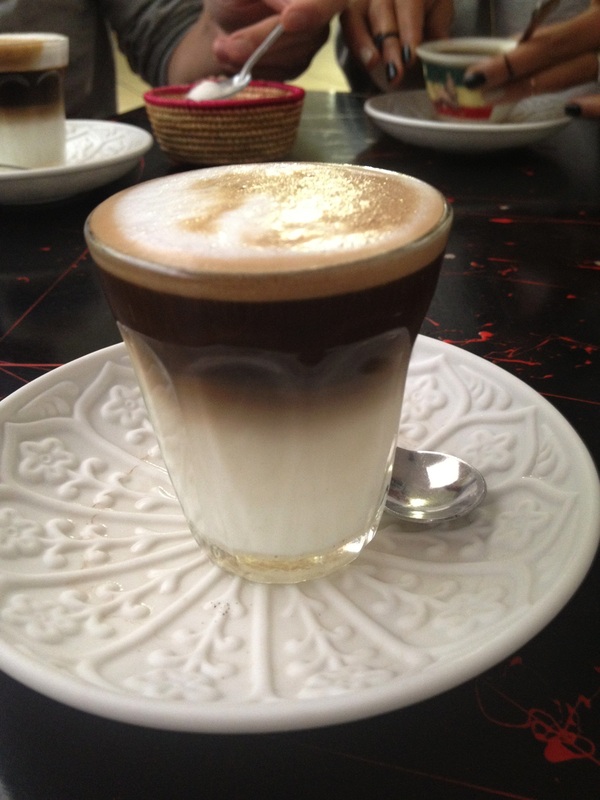 Order a macchiato or traditional coffee and prepare to depart earth and enter coffee heaven. What I loved the most about it was that it did not have any of the sourness or sour aftertaste that I find in some many coffees – even the good ones. Oh and the food is amazing too. It was my first time having Ethiopian and I really loved it. Thank you to Namrata for taking me. It looks absolutely beautiful….almost worth traveling back to Joburg for. Thanks for tempting description.